As reported here back in November of 2009(The Word From Hurd: IPG Growth Includes Wal and K*Mart) , Edgeline may see the light of day, under a flashing blue light. 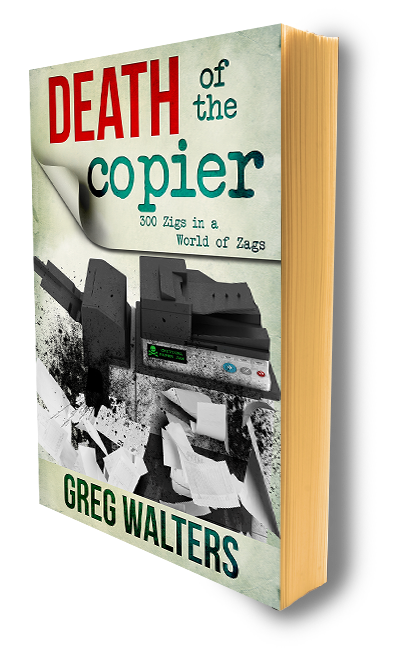 I can't say how official it is, but a reader informed me that the vaunted Edgeline, the Destroyer of Copiers, the New Way, will be at End of Life, April 1, 2010. Parts, supplies and support will be provided for five years. So ends another chapter in odyssey that is HP. And like Obama voters today, six months from now, you won't be able to find anyone willing to admit they ever heard of Condor. What does this have to do with Edgeline? The top image is a HP ML1000D mini lab - the backbone to the WalMart photo kiosks. This image is a CM8060 with finisher and a large capacity paper tray, much like the 40 or 50 I have installed around SoCali. 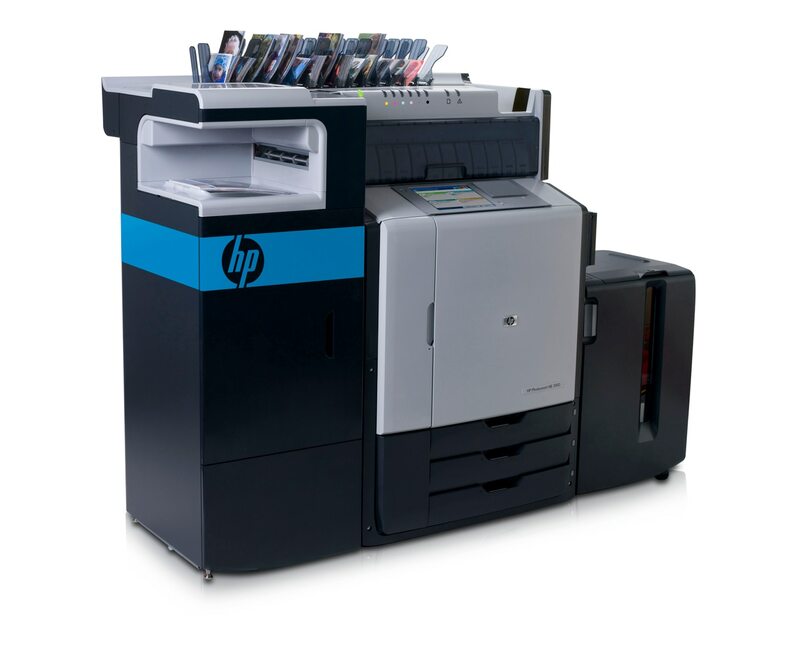 I see a huge commision check - this "take down" will generate growth over 300 percent for HP's global retail publishing line. I see a machine that is based on Edgeline technology, housed in an identical chassis, utilizing the identical LCT. I see a strong printing engine that will be able to run on "retail" hours. I see a company who consciously got out of a dying, copier industry. "These kiosks stay installed for nine or 10 years," H-P Chief Executive Mark Hurd told investors at a conference in San Francisco on Tuesday morning. H-P gets "100% supplies connect," he said, referring to the sales of the additional printing products. Ah yes, remember the good ole days, here? I believe you are mistaken. The announcement for the HP/Walmart deal does not include "creative" it only includes "instant" print services. This means, that the ML1000 will not be installed (at least initially) in the 3,600 location as announced. They will be installing machines built with the edgeline technology, but these machines only print on single-sided paper and are designed to replace the Kodak instant print kiosk business. I am not trying to take anything away from the announcement or business, just bring some clarity to this post. Anon - I have been wrong before...or I may be posting incorrect information, hoping for "corrections"/confirmations. How interesting, do tell more...if you know. Wow. Sweet deal for HP. The post-sale stream will keep them alive and ticking for a long while.